Break out your pom poms everyone and start thinking about cheering your team to victory. 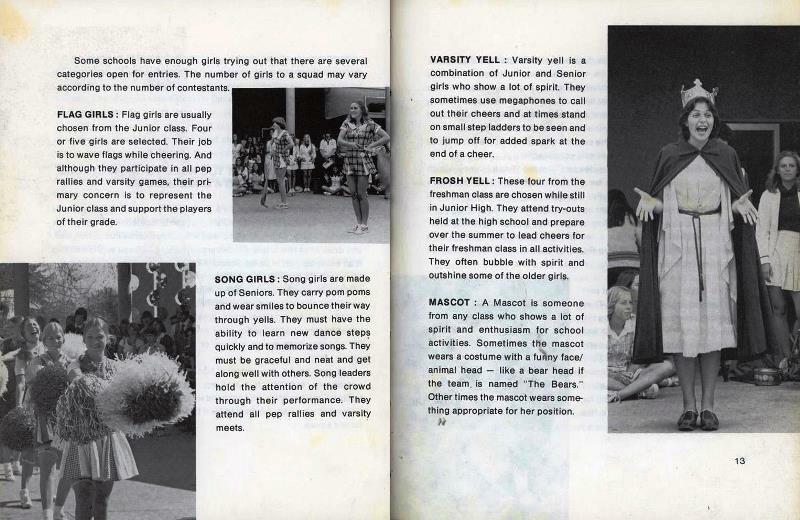 We have had a few cheerleading books over the years. 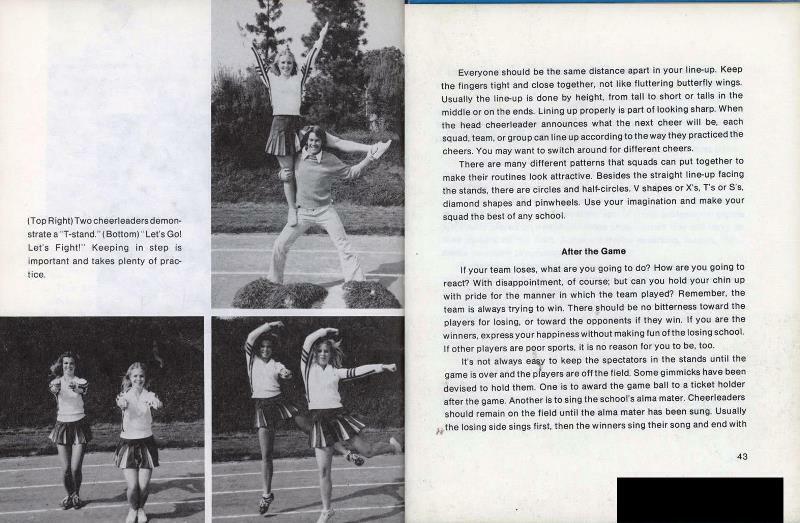 Back when this was published, cheerleading was not considered to be athletic. 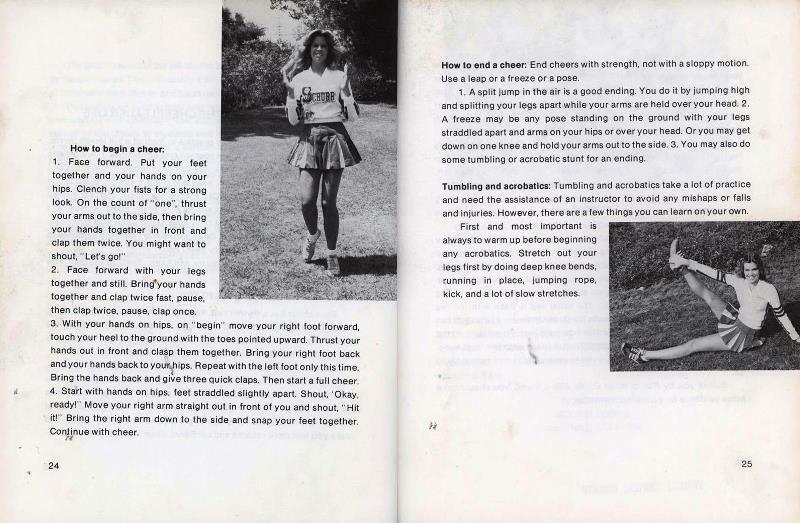 This book barely acknowledges those athletic or dance skills required, other than to remind everyone to stretch before attempting a move. 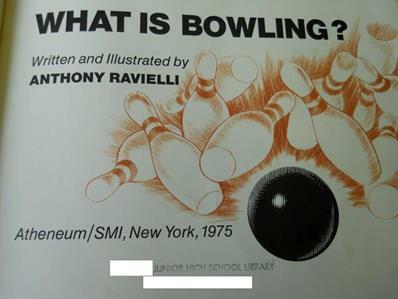 This book looked older than 1980. 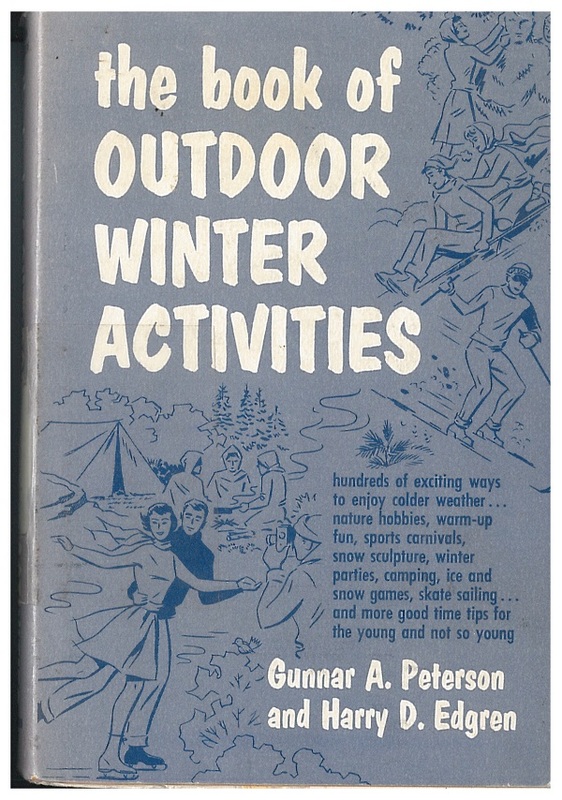 I can’t imagine any kid picking up this book unless it was to understand grandma’s life as a cheerleader. Practically every other page was stamped with the library’s name. 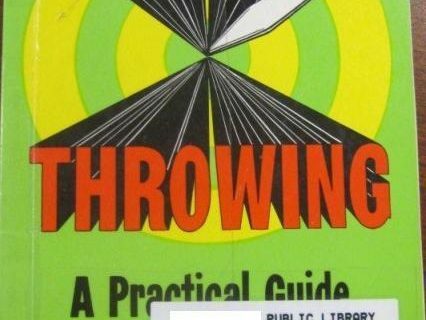 If that was how they processed all their books, this library must have had stamp pads and ink as a separate line item on the budget. I am biased against over-processing library materials. Less is more! I’m not from the USA so cheerleading was never a part of my life, but from my reading I gather that it is/was/used to be a big thing there… I’d expected some responses at least. Not too many of us who were in high school in 1980 are grandparents yet, or have grandkids old enough to be cheerleading. Give us a few more years :-). 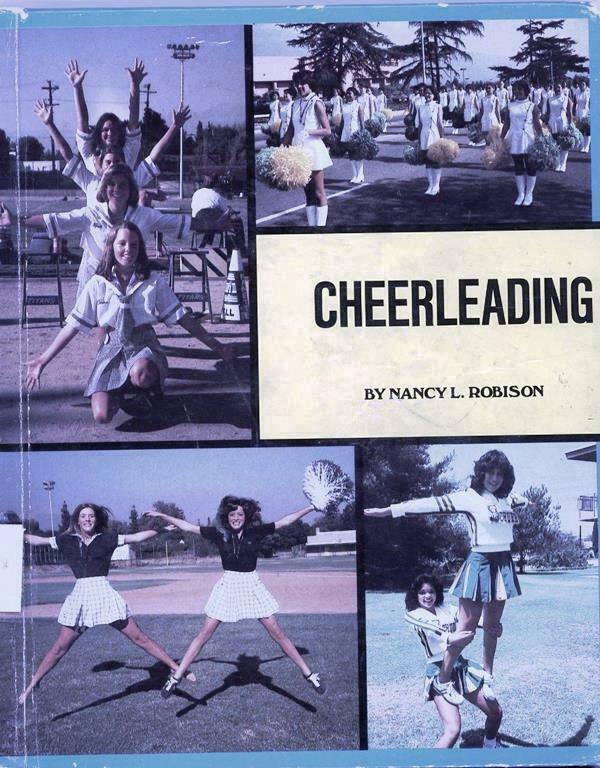 I was a high school cheerleader in the late ’80s, and this book would have been outdated even then…. Everything about cheerleading changed a lot during that decade — the outfits, the stunts, the cheers — it became much more of a true sport. 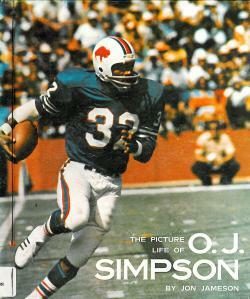 I was cheerleader-adjacent shortly before this book was published, and it was outdated even then. 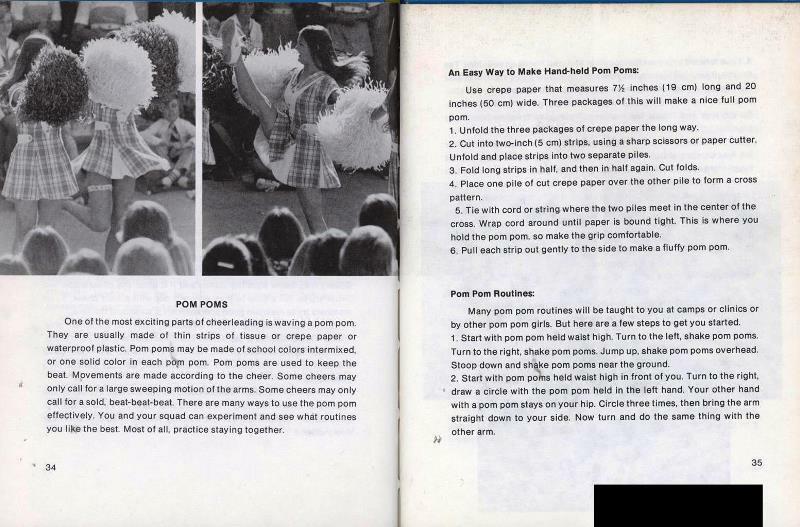 I wouldn’t be surprised if it was copyright maybe 1970, in which case it could be grandma’s cheerleading. Even the outfits look no later than 1975. WTF is up with the plaid ones?